Let your stylish persona shine by wearing fancy style french cuff dress shirts that have the contrasting white collar and cuffs and that come with a stylish tie and hanky set. 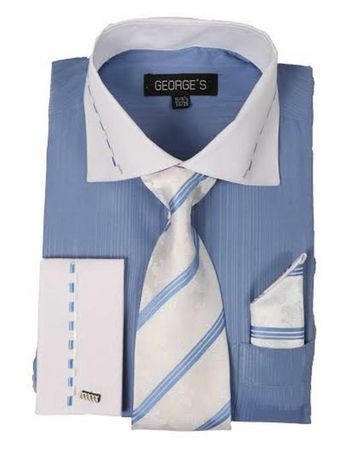 This french blue french cuff dress shirt comes as you see it with the tie set. Fabric is Cotton Poly for easy care.